In our house, Sunday lunch has to be something that’s easy to fit around church and isn’t too expensive. It’s ideal if it can work for having guests over too. 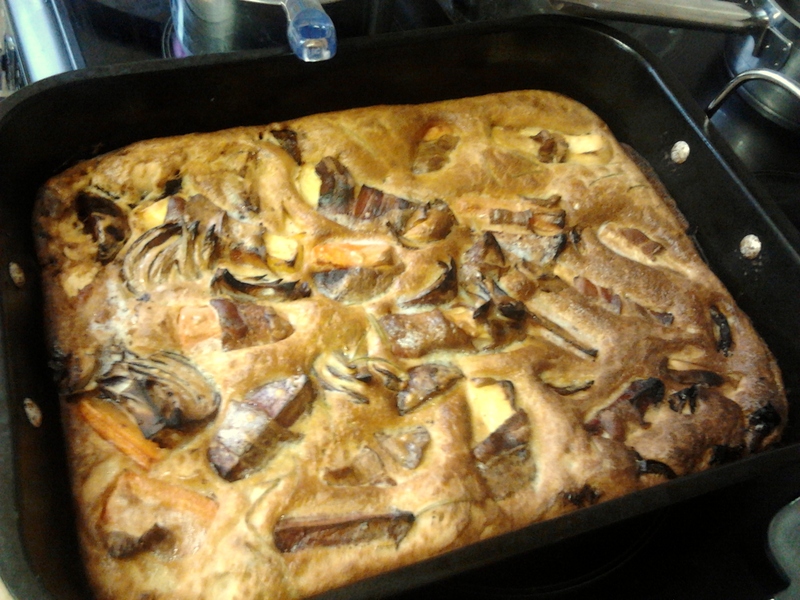 Here’s an interesting variation on toad in the hole – it’s more classy than sausages, but it’s also pretty cheap. In fact, it’s nearly vegetarian, but I didn’t tell Mr Cookingfanatic that. Here’s the recipe on bbcgoodfood.com. You choose some root veg – Tesco sells packs of root veg so I bought that, and it included carrot, parsnip, swede and onion. 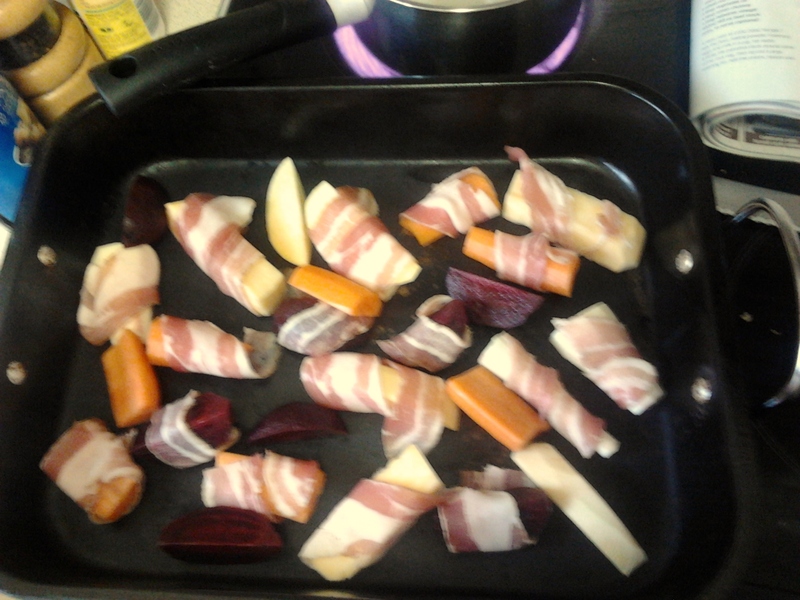 I also added some beetroot. Here it is prepared and wrapped in pancetta. Then you pour over the batter and bake in the oven. 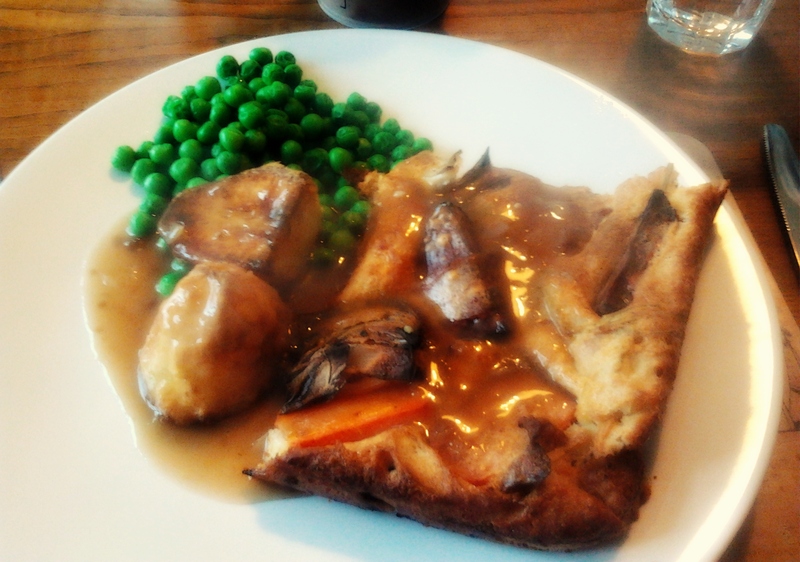 I served it with peas, roast potatoes and the quick onion gravy from the recipe (using onion chutney, genius idea). It was ideal for us, and would have been nice with guests too. What a brilliant idea! Would also work well add a meal to keep in the freezer in care of pastoral need I think. Good idea. Or for emergency “I can’t be bothered to cook” nights. Not that I ever have those, obviously.